In preparation for the impending collapse of the British steel industry the government has announced that everything we make from now on, will be made of sand. “Sand is everywhere. 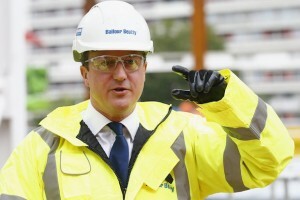 It is yellow, plentiful and much cheaper than steel” said David Cameron. Anyone that has ever tried to make a sandcastle out of steel girders will know that sand is the superior building material”. “This is fantastic news for Barra as we finally have something to export” said Isles MP Angus Brendan MacNeil. Jeremy Corbyn has drummed up passionate support for the steel industry by reading a Franz Kafka novel in a room, alone.